Brief writing on Christian Marclay’s The Clock (2010) as seen in the British Art Show 7 (currently on view at the Hayward Gallery). Christian Marclay’s The Clock is so much more than an awareness of literal time. Certainly, the onscreen images constantly remind us that we’re in the here and in the now. In the theatre we become weighted in this moment through the succession of each passing minute flickering before us. Something occurs beyond this explicit notion of the clock ticking however, something that extends out of the undercurrent theme of death and waiting. What unfolds is an idea of time as a (pop)cultural marker and reference point for the viewer that gives The Clock its pulse. 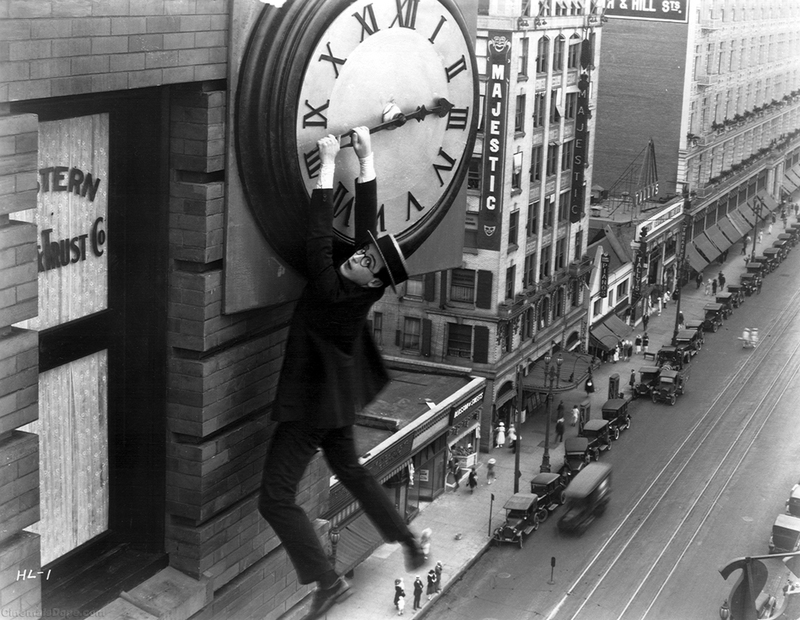 The Clock is a 24-hour single channel video that includes thousands of scenes from film and television (silent era to the very recent) that reference the time, each minute that passes on screen in the same minute passing for us in the audience. Fragmented time becomes a synchronized event. It’s a powerful and enjoyable experience to watch briefly our favorite movies, bask in recognizing certain actors (Vincent Price, Peter Falk! ), episodes, and places; Marclay’s fluidity in joining these scenes definitely makes for highbrow channel surfing sensation. Because of this, a question is posed: is it our familiarity with these references that signifies the true relationship to time in The Clock? In thirty, fifty, eighty years from now viewers will view The Clock as its own frozen moment in time without any filmic sources of that particular future time? Will the work become pastiche or evolve in meaning? Time is very much a universal construct and personal experience, changing as we get older and our life evolves. Boredom, love, hate, youth, excitement, all effect our perception of how long or short any given period of time feels to us. In this way, I would think of The Clock as being eternally temporal. A post-modern composition of familiar faces, places, and films that itself will change in its meaning throughout the decades, always with the grounding reminder of finitude, to become an object to be absorbed by future artists, watchers, and nostalgic revelers.